We would like to take this opportunity to say “Thank you” for your patience and prayers. It has been a difficult journey for Peter and Tyanne. Going back to late September, Peter has provided a brief overview of their tumultuous journey over the past few months. We were preparing for a trip back to the states for Caleb’s Cup Golf Tournament hosted by Tyanne’s family in Atlanta, Georgia to raise funds for Hope Center / Honors Academy. Her sister invited us to join her a few days of vacation beforehand in Panama City, FL. But, after only being there two days, Tyanne slipped on the stairs and broke her leg. It turned out to be a spiral fracture that required several hours of surgery and consequently resulted in a bi-lateral pulmonary embolism. Tyanne was told she would need rehab for at least three months and it was recommended that we not return to Honduras until she completely recovered and had full movement of her leg. She was transferred to a rehabilitation nursing facility where the healing process was to begin. However, after only a week in the facility, we were ordered to quickly evacuate the building as Hurricane Michael was approaching. With Tyanne still in a wheelchair and under strict medical care, we fled the rehab center to a nearby hotel. Both the rehab center and hospital were almost completely flattened by the hurricane. The small hotel where we weathered the storm was all but destroyed as every room window was blown out, with the exception of the window in our room. Jesus was in that room, carefully protecting and guarding us just as He was on the boat long ago with the disciples. 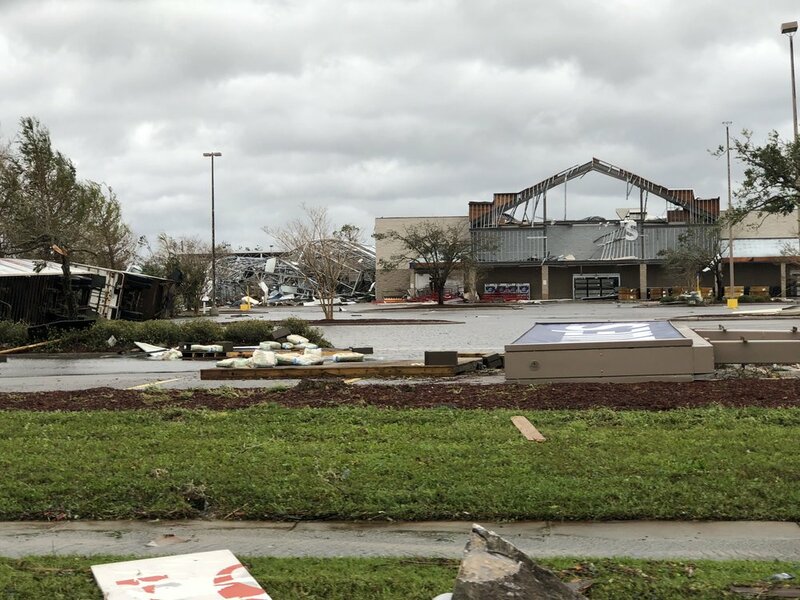 Here are a few pictures of the devastation that we were surrounded by in Panama City. So glad we made it out safe and sound. Though it was difficult to make our way around Florida after the hurricane we were blessed with family and friends who were able to help us. Because of this, we were able to stay in Florida while Tyanne was healing. Over the past few months I haven’t been on social media much as my priority was helping my wife Tyanne recuperate from her surgery. The Biggest Christmas Gift I could have been given was to see Tyanne smiling, and walking without a wheelchair, walker, or cane. As we look to 2019, a fresh start and a new year, we are so thankful for all of you. Please continue to pray for us. 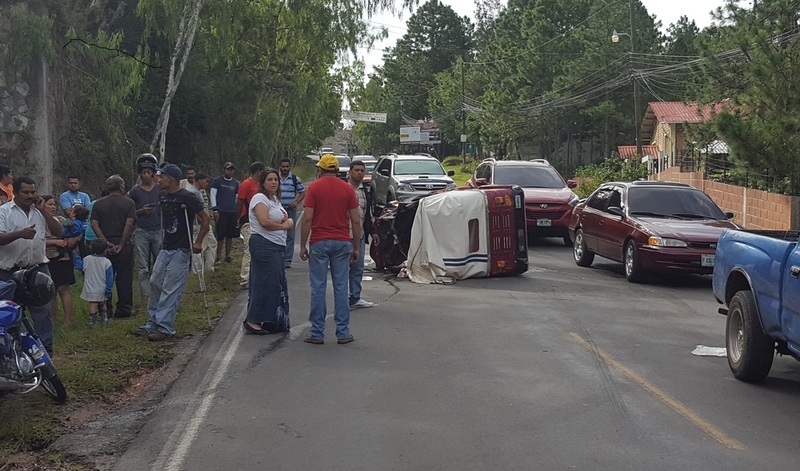 Pray for protection and guidance as we serve the people of Honduras.Pray that people will come to know Jesus through the work being done at Hope Center and Honors Academy. It was a busy summer at Honor's Academy in Honduras. We are ready for the 2018-2019 school year! The moment arrived...our little kindergartner was now graduating. Honors Academy started as a school serving the children of Hope Center and grew into a school that now serves the community. Enrollment this year reached over 200 students. Moving to a trilingual curriculum with a library containing over 6000 books, 2017-2018 was a year of change and 2018-2019 promises more of the same. 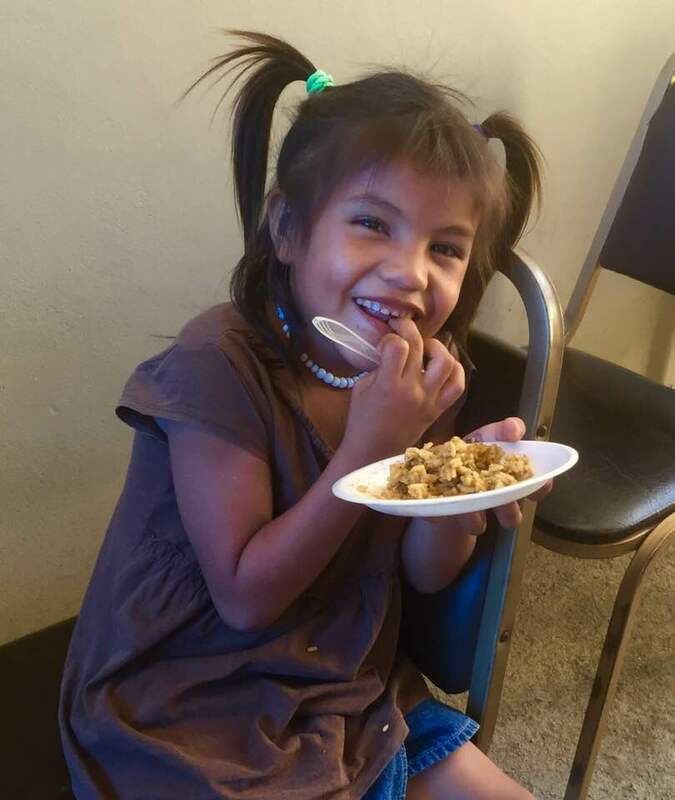 This little smile tells the story of hope. After months of waiting through a presidential election with protests and riots, paperwork and a toll road strike blocking all trucks entering the city, we finally received the container of humanitarian aid. It was full of computers, desks, smart boards with projectors and science lab stools for the school. Food, vitamins (children's, prenatal, and pro biotic) and feminine products along with other miscellaneous items were also included. Through the combined efforts of Feeding the Nations and Storehouse Mission Support we received over $200,000 in supplies. These donations will allow us to continue to improve the quality of education at Honors Academy as well as feed thousands of needy children. New flip flops, a stuffed animal and a hug can make a child feel so special. Many children were blessed with the shoes and stuffed animals that were donated by Troy Marshall’s Ministry. We were very busy distributing all of those shoes! It was also great to have Troy minister at our church. His message touched many in our service. Dr. 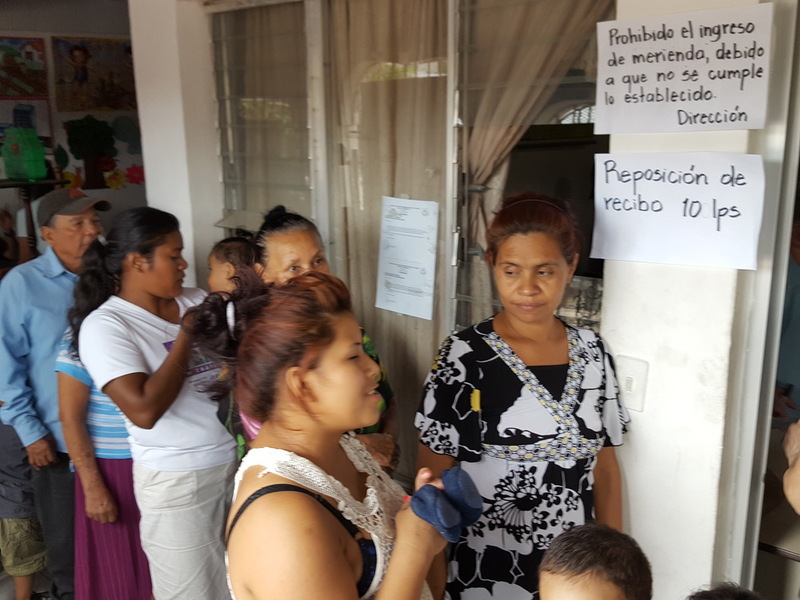 Crystal Kronenberger (left) attended to the medical needs of many people in the surrounding villages. We had a great service with Pastor and Rabí Darko Kovachich (middle) from Croatia. Darko’s passion is to help others find their story in God's story by restoring the “Ancient Altars,” helping reconnect them to their forgotten roots and by doing so, accelerate the coming of Messiah. We are so proud of our grandkids (right). 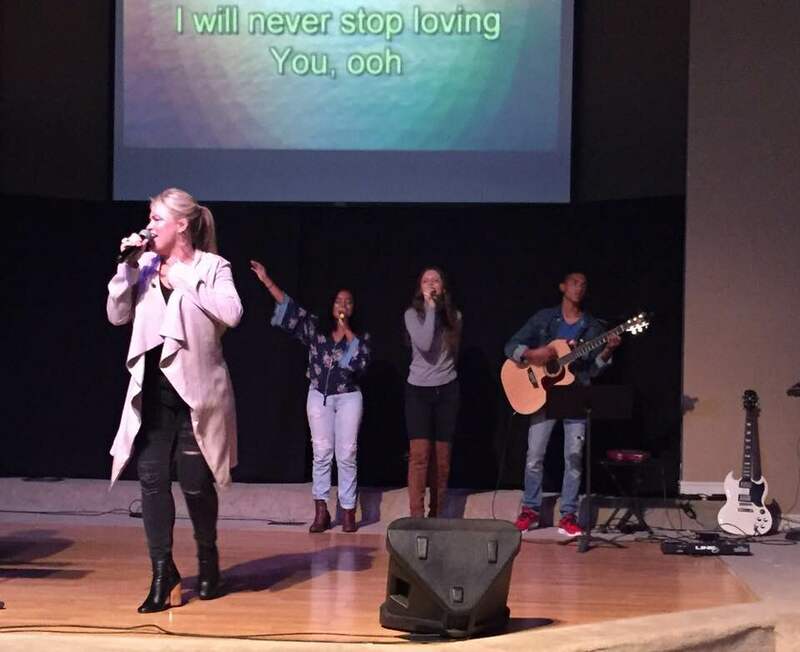 They are growing up fast and have now joined our worship team. God's provision never ceases to amaze us! We are so thankful for everyone that gave their time, prayer support and monetary donations to make all of this happen. God is using New Life Campaign to reach women who were never seen or heard before. They never knew their hearts were worth being fought for. They never knew that they could be turned into something beautiful and that their hearts could be healed. We are thankful to be part of this "Yes God" journey. What a blessing it was to have this team from the States come to the prison and share the gospel. Even though they were not able to get into the main area of the prison, they were not deterred. They prayed and shared their stories to gang members in the courtyard. Tyanne Jurka of Hope Center shares a brief 18 year history of their prison ministry in Honduras. She takes you on a journey from ministry launch to present day and shares pivotal moments along the way. Greetings and blessings from the Jurkas in Honduras. As we begin 2018, we reflect on the goodness of our precious Lord and Savior, who continues to give hope to the hopeless and peace in the midst of conflict. Honors Academy has continued to grow, and we are reaching out to more children than ever before. This year's enrollment is over 250 children in grades pre-kinder through 12th grade. In the spring of 2018 we will have our first graduating class! The Men's Prison Ministry experienced a huge turn this year. For the past 17 years, we have ministered to 600 young men in prison. We were recently blessed to see 50 of those young men extensively study and graduate from our course on the “Armor of God.” Right after graduation all 600 men were transferred to a different facility. Please pray that God will finish the work that He has begun with these men. The Women's Prison Ministry was born! Though God closed the door on the men’s prison ministry, He opened the door for us to minister in the women's prison to the 18th Street Girls. Women are opening their hearts to the word of God and His presence. We are seeing lives changed on a weekly basis. God is so good and so faithful! We thank you from the bottom of our hearts, for the continued support of love, prayer, and finances. We thank you for being a huge part of what we do here in Honduras! Honduras 2016 Medical Mission Trip Day 9. 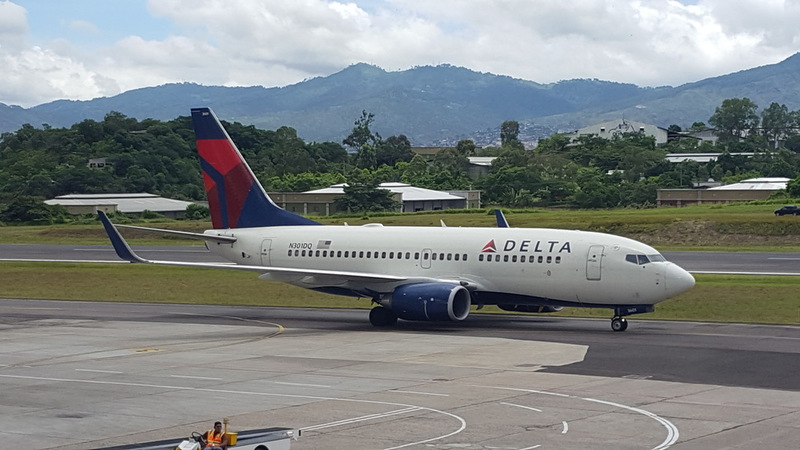 This was our departure day back to the states. After breakfast together, we presented our cook with a water purification system for her family. We had farewells to the Jurkas and our hosts, and then it was back in the school bus to the airport and the flights home. We all arrived safely and back in our own homes very early yesterday (Saturday) morning. It was a wonderful and productive trip, that was meaningful in special ways to each one of us. 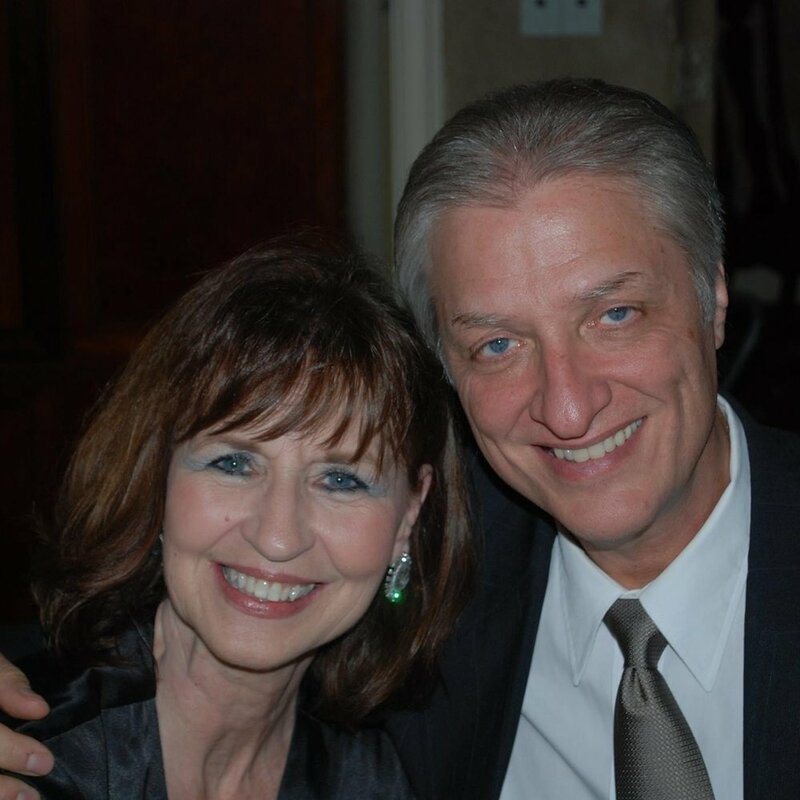 Thank you for following us on our journey, and check back for news about the Hope Center, Honors Academy, and the upcoming (in October) fund-raising banquet in the Buffalo, NY area, where John and Tarah Carette will be the featured guests. Honduras 2016 Medical Mission Trip Day 8. Today was a great day in prison. Half the group stayed with the guards and were able to treat 106 patients. The other half went into the cell block and saw about 200 patients. After everyone was attended to, there was time in the clinic area where the men sat in rapt attention as each team member gave a greeting and we then prayed for the men and their leader, who hosted our group. It was a very special time of sharing God's love, with the presence of the Holy spirit. There are no pictures because cameras are not allowed in the prison, but it was a special time that we will all remember. 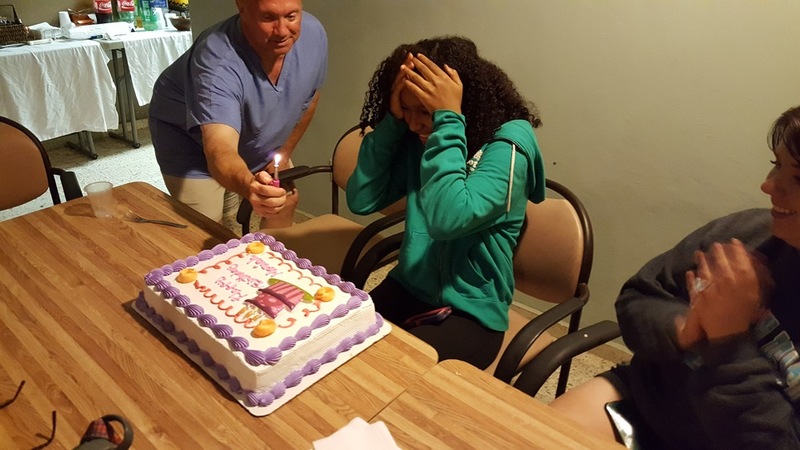 Afterwards, we stopped to replace the front tires, and then returned to the Hope Center for a typical Honduran dinner and birthday celebration for Moriah, who turned 16 today. She will also remember how all the prisoners sang Happy Birthday to her. This was our last day working in Honduras, and tomorrow we return to Buffalo. Honduras 2016 Medical Mission Trip Day 7. Today we headed up La Tigra mountain for clinic in the home of a family we helped on our very first trip here in 1996. Their 4 year old daughter, Suany, had a congenital heart defect that made her very weak. She was dying from her problem, since there was no open heart surgery in the Country. He mother had prayed for a miracle, and we were it. We were able to arrange to bring Suany to Buffalo for surgery that was successful, and she is now living a normal life, with 2 children of her own. So we like to check on her progress in life and bless her family's village with medical care. On our way, we were able to administer first aid to the passenger of a motor scooter taxi they use here, after it tipped on it's side (no one was seriously injured). We continued to Suany's house where we saw 204 patients during our clinic time, and ended early enough to go to the entrance of the rainforest national park. There were beautiful views and many tricky hair-turns in the road along the way. We finished the day back at the Hope Center sharing about which patients made an impression on us. 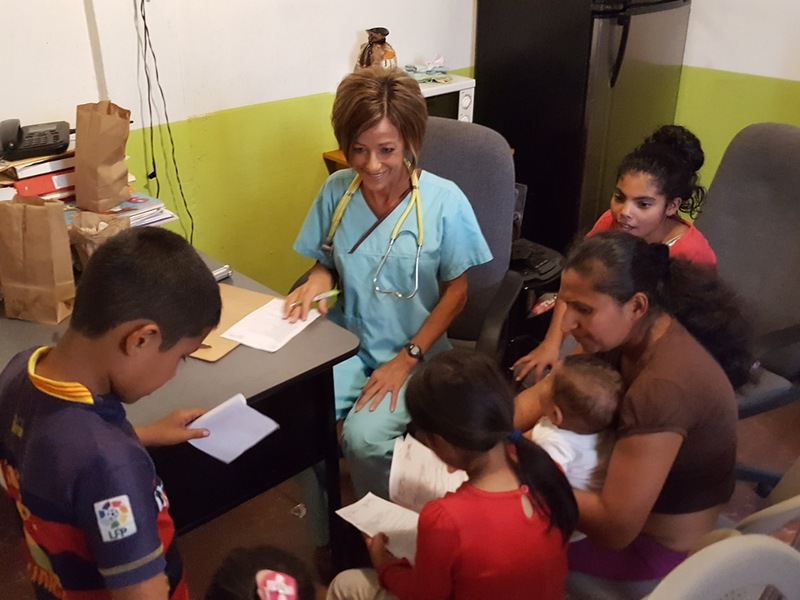 Honduras 2016 Medical Mission Trip Day 6. Honduras 2016 Medical Mission Trip Day 6. After breakfast, we headed to the city church where some spent the day with fix-up projects and preparing materials for the coming start of the school year at Honors Academy, held in the church building. 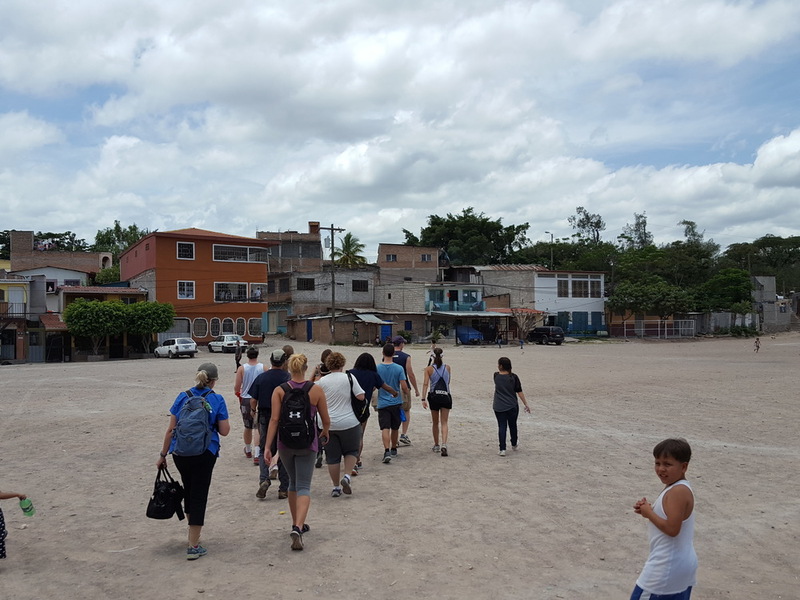 The remainder headed back to Las Brisas to inspect water filtration systems we placed in previous years. We fixed broken systems and replaced the filter on all of them, while seeing up close how the people in this area live. After lunch, some went for souvenir shopping while the remainder continued working on projects at the church building. We then had dinner at the restaurant, El Portico, owned and run by a family that helps us with our translations and contact work in Honduras. We ended the evening with a team meeting learning the history of our clinic location tomorrow up the mountain near the rain forest, La Tigra. Afterwards, we packed nutrition packs and Albendazole medicine and prepared our supplies for tomorrow's clinic. Honduras 2016 Medical Mission Trip Day 5. This was a very busy clinic day. 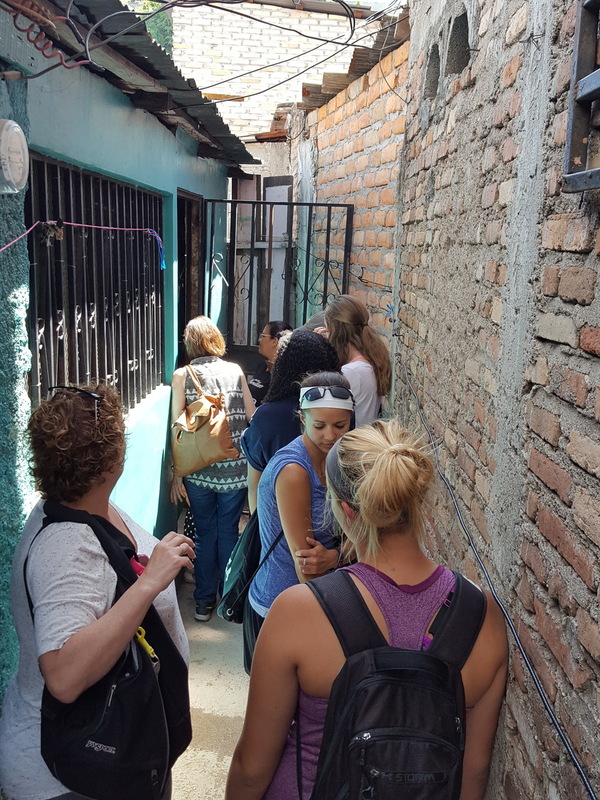 We started with our usual breakfast and devotional time in the morning, and then off at 8 am for clinic at the inner city area called Las Brisas. 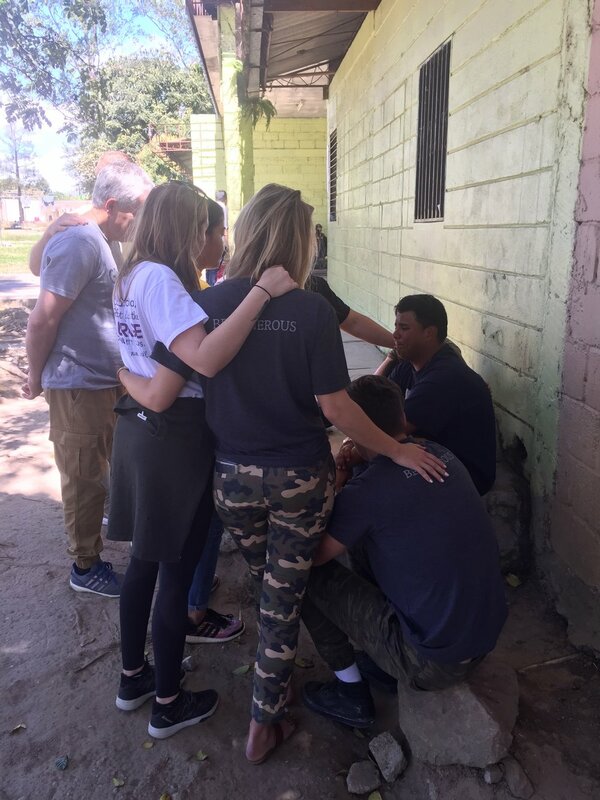 On the way, we stopped at the city church to clean out classrooms that are receiving new flooring, and then off to a school in Las Brisas, where we worked today. The bus could not reach the area, because of parked vehicles blocking access, so we carried in our supplies. We worked with our old friend, Lourdes, who has hosted our clinics many times. There was a large crowd and we were able to serve 375 patients, hand out nutrition and dental kits, and then return to the Hope Center. The Hope Center Kids have been serving as helpers and translators at each clinic, and on the way home, treated them to Ice Cream. The team felt a bit weary but rewarded after agood day of work. Tomorrow we will be distributing and updating water systems back at Las Brisas. Honduras 2016 Medical Mission Trip Day 4. Honduras 2016 Medical Mission Trip Day 4. Today, after a morning hike up the mountain above the Hope Center, we attended church and heard a great message on being Transformed from ordinary to extraordinary by the work of God in our lives. 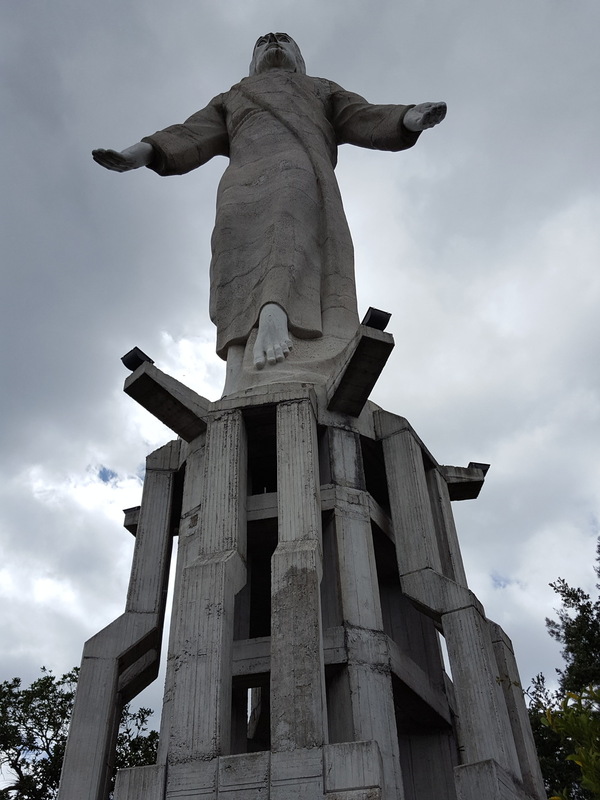 We then went to the Picacho Park with a statue of Jesus and a grand vista of the city of Tegucigalpa. Tomorrow we head to the inner city area called Las Brisa for medical clinic. 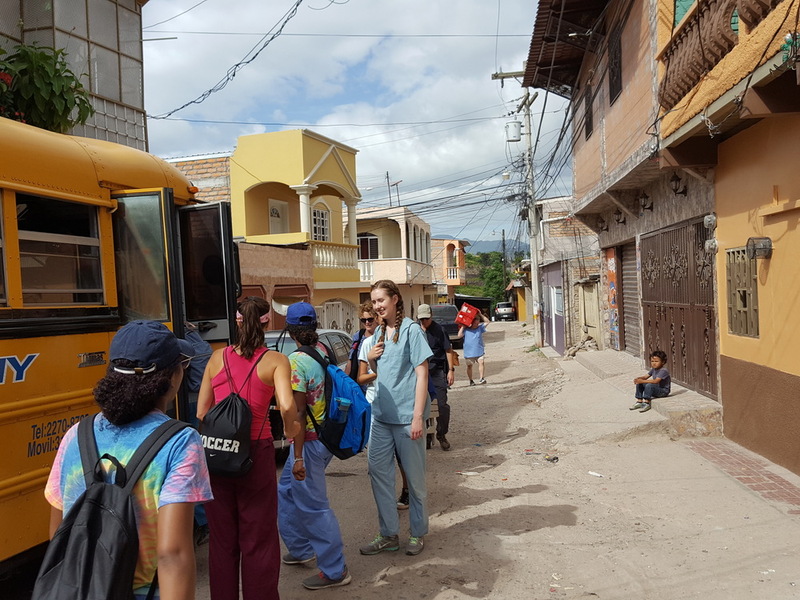 Honduras 2016 Medical Mission Trip Day 3. Last night we bottled cough syrup, and today we had clinic at the Valley Chyurch where we saw about 175 patients. By 1:30 there were no more patients, so we cleaned up the church and went to the town center of the Valley Of Angels where everyone did souvenir shopping. Dr. John met up with our old friend Damiani (he is a scout leader who has hosted our team's clinic and driven the bus for us in the past) and exchanged scout badges. We had a typical Honduran dinner (beans, rice, chopped/spiced meat, and tortillas) and a time with our missionaries Peter and Tyanne, who shared their story of coming to Central Amrica decades ago and the many obstacles they have overcome along the way. 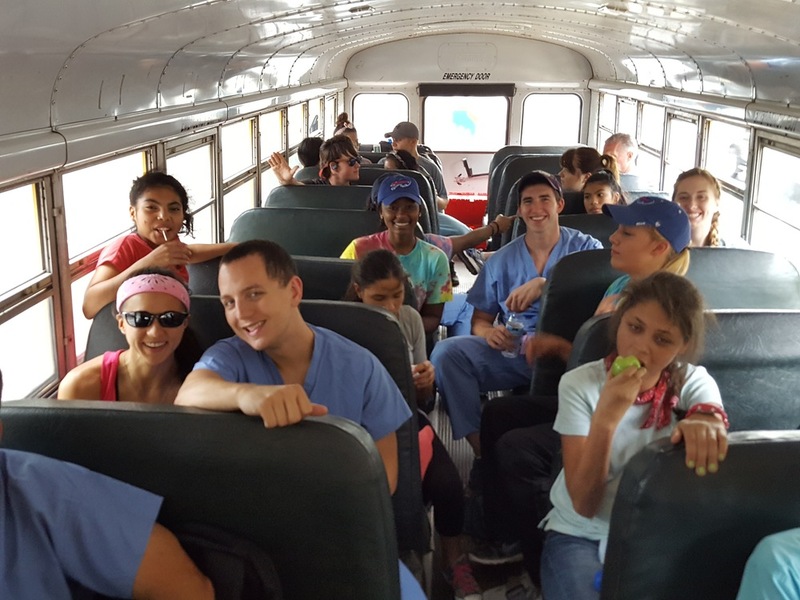 Today began the 2016 Honduras Medical Mission Trip to Honduras. We have a group of 16 people includes doctors, nurses, physician assistants, pharmacist, students and support people. We arrived safely, and with all of our luggage and supplies. 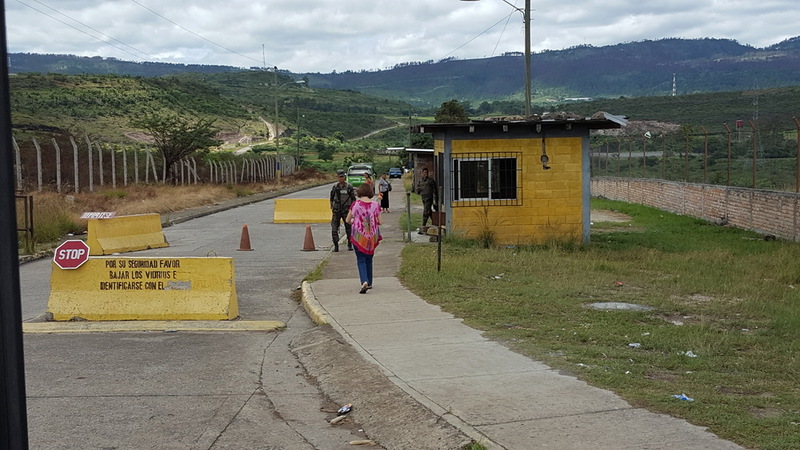 We settled into the Hope Center, and prepared our medications and supplies for our first Clinic day in a village called Habitat, near the maximum security prison. We are privileged to work with the Jurka and Carette families serving the people of Honduras and showing the love of God for his people. Check in daily for news of our trip. October 16, 2015 was the date of our annual fund raising event, the Hope Classic Banquet. 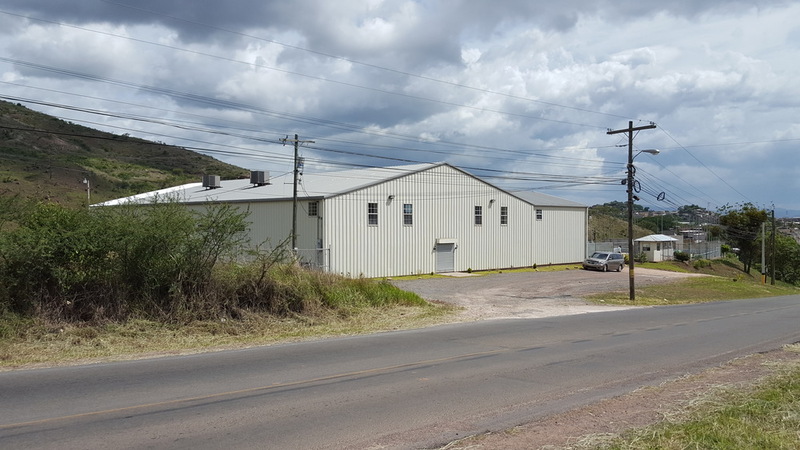 Previously, the banquet was held in conjunction with a Golf Tournament, but starting this year, Storehouse Mission Support decided to focus on having a single Banquet event. And it was a great success! With over 170 attendees, and more than 100 items donated to the Silent Auction, we exceeded our goal of raising more than $20,000 for the ministry of the Hope Center and Honors Academy in Honduras. The ministry directors, Peter and Tyanne Jurka, were in attendance, greeting the participants, and addressing the group with an update on the work in Honduras. The theme for the event was "A Magical Night for Honduras," and we were entertained by a magician performance. Another highlight was an example of the water filtration systems we place in needy homes in Honduras. One system can provide safe water to a family for up to 2 years. We received more than $1,000 in donations to update old systems and install many new ones. We are grateful for all the volunteers, donors, supporters and attendees who made the banquet an enjoyable, informative, memorable and successful time. Please add your thoughts and photos in comments to this post.